Showing all news posted in July 2013. Friday 5 July was a wonderfully sunny day to be on Sandhaven Beach in South Shields for the North East Sandcastle Challenge. 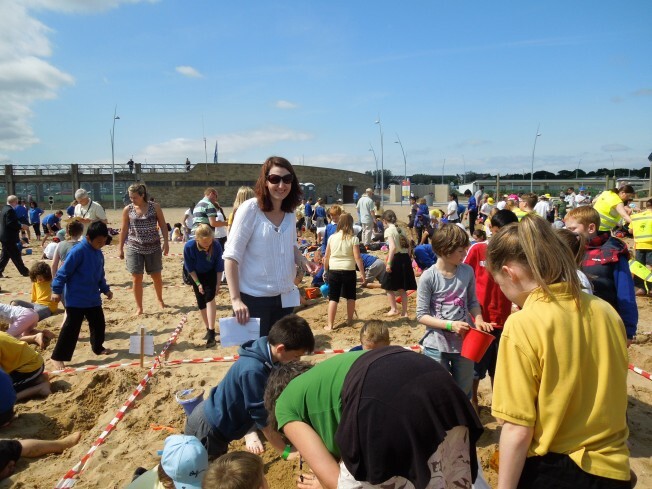 This year’s theme for the Challenge was ‘The Lindisfarne Gospels’ and there were 1700 school children on the beach for a frantic [strictly timed] hour of digging, building, shaping, decorating and general masterpiece-producing. Ollie makes bid for Shaw Trophy!